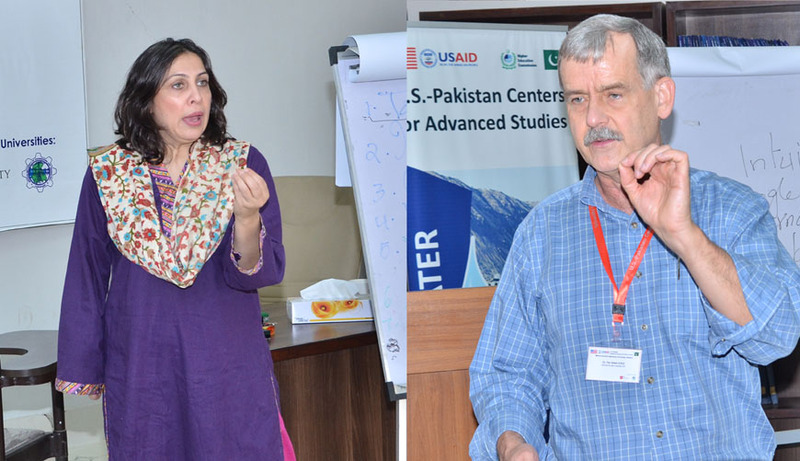 Highly academic and technical experts from University of Utah, Colorado State University and City University of New York led the four-day boot camp, was concluded today, to enhance learning and research capacity development of the faculty and students of recently established USAID supported U.S.-Pakistan Center for Advanced Studies in Water (USPCAS-W) at Mehran University of Engineering & Technology (MUET), Jamshoro. Faculty and students were further divided in groups to exercise on research techniques and exhibit the same in collaboration with each other. 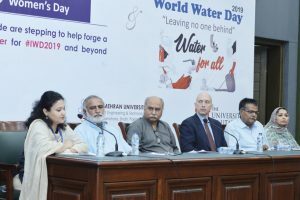 American professors including Prof. Tariq Banuri, Prof. Steve Burain, Prof. Tim Gates, Prof. Sajjad Ahmed, Dr. Shundana Yousaf, Mr. James Thompson, Dr. Jim VanDerslice and experts delivered lectures on different topics including Water and Sustainable Development in Pakistan, Gender and Governance, Water Infrastructure System, Irrigation and Drainage Efficiency, Decision Support for Water Resources Planning and Management, Students Exchange Program, Time Management, Enhancing Research Skills, Water Resource Planning and Management, Urban Water Supply and Resources and also other topic related to water, environment, Infrastructure, Capacity building, gender and governance covered during their presentations. The boot camp divided groups of USPCAS-W faculty also exhibited their presentations on different pedagogy and research techniques. 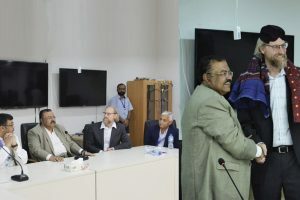 On this occasion, Project Director USPCAS-W Prof. Dr. Bakhshal Khan Lashari briefed the foreign delegation regarding the performance, achievements, and goals of USPCAS-W and also highlighted the role of USPCAS-W in future research opportunities in collaboration with other stakeholders. 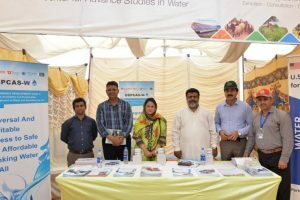 Faculty, management and staff of the USPCAS-W actively participated in this four-day boot camp held at Office of Innovation and Commercialization (ORIC) building of MUET Jamshoro.